Introducing Lynden's New Mobile App! 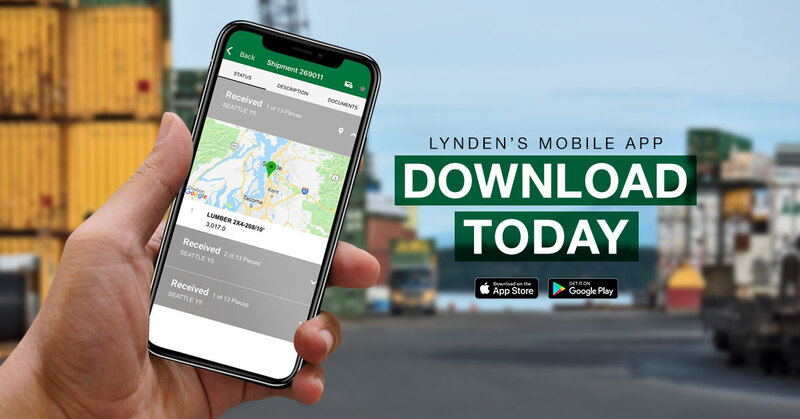 Lynden is offering customers the latest in convenience and technology with an all-new version of the free mobile app. Our new mobile app was developed based on feedback from customers and provides accurate, up-to-date shipment information directly from your smartphone! Available for both iPhone and Android phones, the app allows customers to log in to their Lynden EZ Commerce accounts to easily view all of their shipments and sort, filter and search to find exactly what they need. Convenient options such as saving frequent searches or marking important shipments for quick reference are also available. "We know our customers are busy and most depend on their smartphones on a regular basis," says Ryan Dixon, Lynden’s Director of Marketing and Media. "Many of our customers have enjoyed using our mobile app over the past few years, but one thing that has been frequently requested is the ability to log in to EZ Commerce through the app so shipments can be tracked without having to remember or enter tracking numbers. This is now a core feature of the new mobile app, and we think our customers will find the experience a major improvement." Other features of the app include the ability to receive status updates via email for specific shipments and viewing and emailing documents such as bills of lading, delivery receipts and invoices. The option to track individual shipments without EZ Commerce is also still available, and the claims submission process is streamlined through the app. Download the app today! Visit www.lynden.com/mobile, or search "Lynden" on the App Store or Google Play.